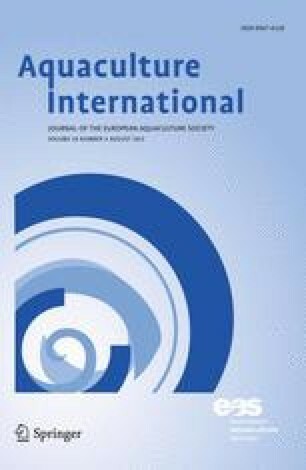 This study explores desired and undesired characteristics of mussels in wholesale market by applying hedonic price analysis. Transaction data in auction market in Yerseke, the Netherlands, was used to estimate linear and semi-log price models. Meat content and size count, which are measured as the ratio of the weight of cooked meat to the total weight and the number of mussel per kg of raw mussels, respectively, are the most important characteristics determining the price. At the sample mean, if the meat content increases by 1%, farmers can get a premium price of 5.5 eurocents kg−1 of raw mussel. Mussel lots with size counts below 50 pieces kg−1 can command the highest implicit price of size. Processors prefer mussel lots in which the size of mussels is more or less heterogeneous. The impurity of mussel lots, which is measured by the percentage of tare, the amount of barnacles and limpets per kg of raw mussels are significant discounting factors on the price. The study also investigates the impact of farming locations and seasons on the price and the price trend during the period of 2002–2009. The author gratefully acknowledges Jaap Holstein in the Yerseke auction market, the Netherlands, for providing data and consulting. The author also would like to thank Lars Ravn-Jonsen, Hans Stubbe Solgaard, Eva Roth, Peter Sandholt Jensen, and the people in the Market and Competition research group (SDU, Denmark), two anonymous referees and the co-editors for their comments and discussion. This paper is financed by the MarBioShell project at Southern Denmark University in Denmark.